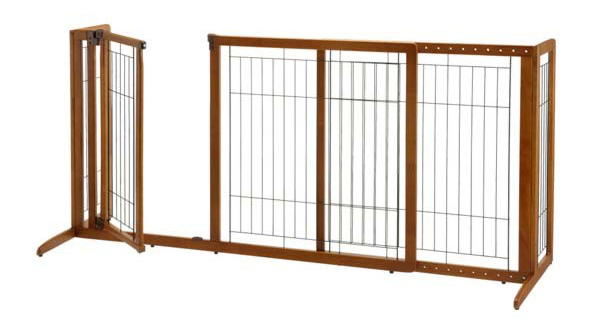 Richell Deluxe Freestanding Pet Gate with Door Large Brown 61.8" - 90.2" x 27" x 36.2"
Available in Medium and Large sizes, Richell’s Deluxe Freestanding Pet Gate with Door fits doorway and hallway openings from 61.8” to 90.2” wide! Plus, the specially designed walk-thru door opens in both directions, locks automatically and remains open at 90˚ to allow you to move freely from one area to another. And like Richell's other freestanding pet gates, the Side Panels are designed to keep the gate from tipping over while the Rubber Feet keep it from scratching/sliding on hard floor surfaces. Eco-friendly wood complements home interiors beautifully as well as Richell's other fine wood pet products! It doesn’t get much better than this! General Product Information: Gate door opening is 19½" wide. Medium gate is recommended for small to medium dogs 8.8 to 44 lbs (4-20 kg). 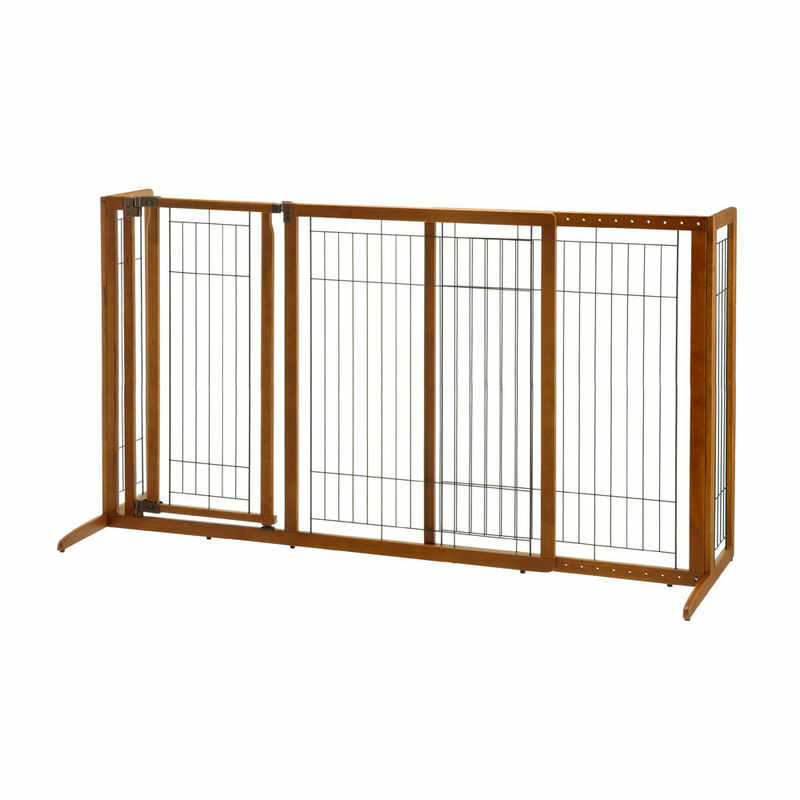 Large gate is recommended for medium to large dogs 17.6 to 88 lbs (8-40 kg). Instruction manual included. 1 ¾" space between wire slats. Wire is 7 Gage or 0.144". Made from eco-friendly, sustainable Rubberwood. Dimensions: 61.8" - 90.2" x 27" x 36.2"
62.5" x 39" x 4.5"